On a dark 8 degree morning, I joined about 50 other runners to take the trail. 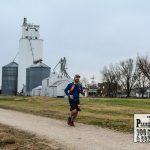 It’s not a race, but more of a 50k with like-minded folk. People could start at anytime and follow the trails on a map we had. We would be covering all the trails in order to hit 50k. There would be two aid stations at trailheads along the well maintained by volunteers for the love of running. 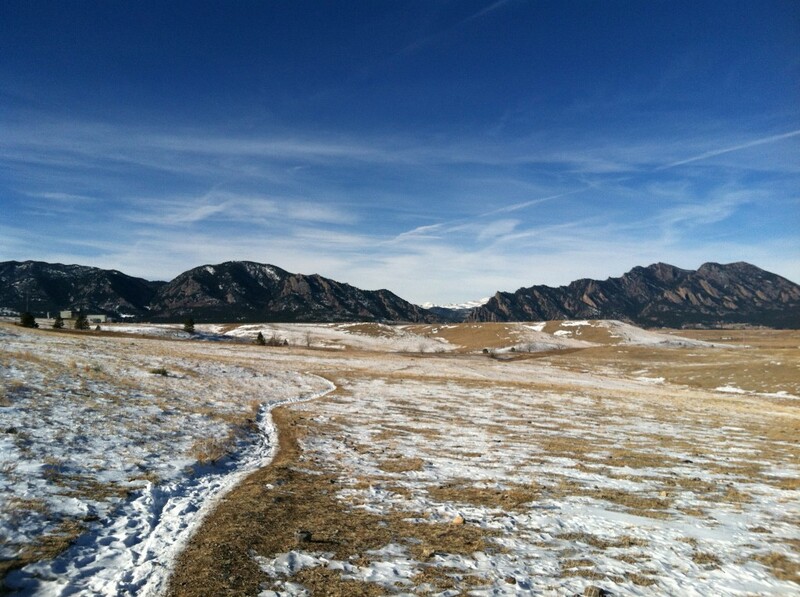 No bibs, no spectators, no timing chips … just hitting the trails in the middle of winter. Many of us stalled waited around until the sun came up, so there was no trouble seeing the trail. I had no idea where I was going, so my only goal was to keep others within sight. There were some slippery spots on the trail, but for the most part it wasn’t bad. 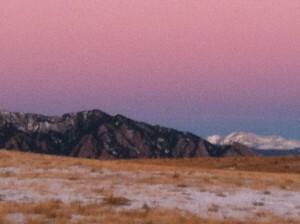 Looking around it is hard to hate Colorado with the views of the mountains surrounding me. While enjoying one of those views, my right foot caught a rock and I came close to going down. I didn’t actually hit the ground, but it’s enough of a jarring motion to do some damage. Fortunately, I wouldn’t feel that damage for another 15 miles. For the past 3 weeks I have been doing my running inside. I’m just not a fan of running in single digit weather with wind. Call it what you want. If I was training for a race at the North Pole, then sure, why not bundle up like the kid in The Christmas Story and hit the trails. Maybe I would get lucky and be attacked by a coyote while I was at it. Starting out this run reminded me about my not-thrilled-about-running-in-cold thoughts. To begin with, I couldn’t feel my face. Hadn’t really thought about that. Whatever. I grew up in Maine. I can survive. Then I realized the tube going to my Hydrapak was frozen. Hmmmmm … running with frozen water was a new one. Bending it back and forth to break up the ice didn’t get a sip out, so I did my best to put as much of the tube into my jacket. After 10 minutes I was able to get a little water flowing through. Speaking of water … I was trying out a new mixture. Half water and half Pedialyte. Yes, the stuff you get for infants so they don’t get dehydrated. I won’t lie, I have been told I act like an infant at times, so it was appropriate. My youngest has been sick the past week, so I stole some of her’s. It’s alright, I know where to get more. One of the benefits of living in Colorado is the incredible views. There were areas of the trail that the head wind was noticeable. What was really amazing was the difference of temperature when running in the shade versus sun. There was probably a 10 degree difference which you feel. What helped was knowing that some incredibly nice people put together an aid station at mile 8. It was full of everything you ever could hope for at an ultra aid station. There were bananas, peanut butter!! !, chips, pretzels, gels, soda!! !, and peanut M&Ms to name a few. So freaking awesome and so amazing these people did this! Leaving this aid station, it was uphill. Not Leadville-Hope-Pass-uphill, but not the pleasant rolling trail it was for the first 8 miles. All good though as the views and variations in the trail make the time go by. Coming up to an intersection, a couple of us compared our printed map to one posted to decide next path. Up next was 2 loops. The first had a little climb with the second loop branching off halfway through the first. What I failed to do was to really look at where that second loop intersection came into play. I blame it on the deer. 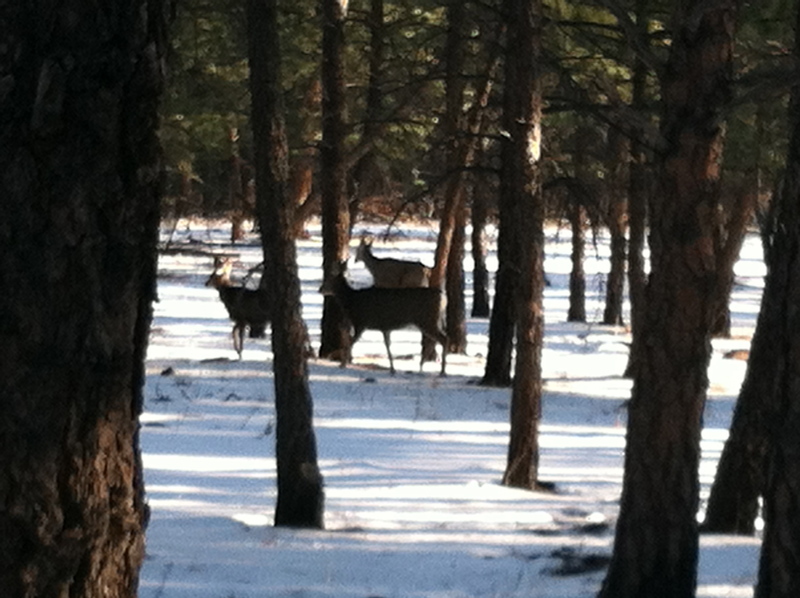 Really though, those deer were pretty cool to see bouncing between the trees. Around the corner was the big buck deer. Looking back at the map, I’m guessing that’s where the intersection was. That took off about 5 miles which made the course more a marathon than an ultramarathon. The terrain wasn’t your normal zone out into a shuffle kind of marathon, so will leave it up to interpretation. After running through the snow filled forest, the trail declines into another trail head. This is about mile 15 and where an incredible volunteer was setup with the back of their van open to us in need. Another buffet of food that would motivate my 9 year old to get into ultrarunning! Met up with some more runners and headed off back to the car. About 9 more miles to the car that is. The rest of trail was open and rolling. Fortunately, the wind had gone away by this point and the nagging in my ankle was fairly mild. Not sure why I never turned on music this entire time, but it was nice to have conversations and take in the mountains. After getting back to the car, I chatted with a group of 9 others about the course, starting off in freezing temps, and other races we would be doing in the spring. Great people and a great time! 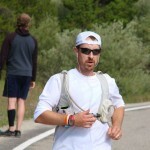 I mostly ate at the aid stations, but in between I only consumed about 400 calories. This is probably why I don’t feel like eating too much after a long run, but I decided to stop by the grocery store on the way home. 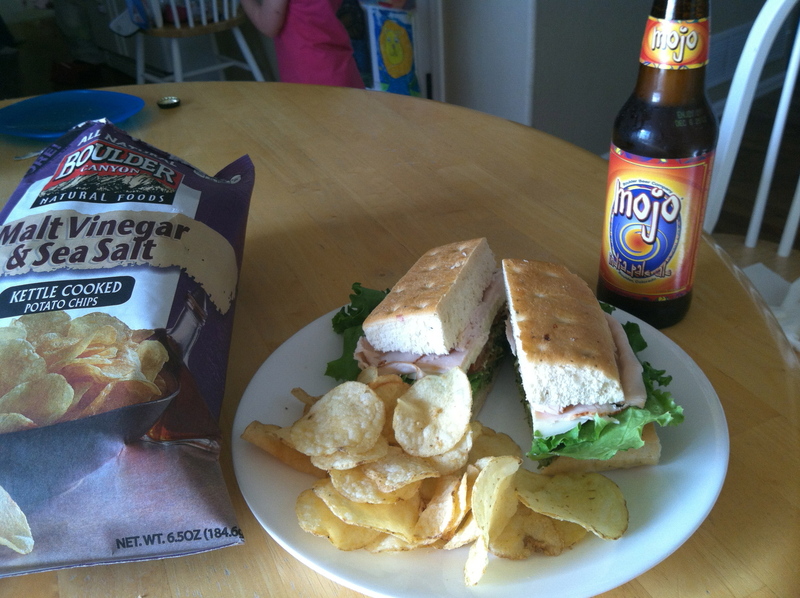 Salt was the target and the solution found was Boulder Chips Company’s Malt Vinegar and Sea Salt. (Half the bag was eaten before getting home). I also decided on a turkey sandwich with avocado. Wasn’t thrilled with my bread choice as it basically fell apart. That was alright as I was in a pick at it mood. The beer of choice was an IPA from the Boulder Beer Company. Always great to have a local meal. While checking out at the grocery store, the young guy behind the counter noticed my Zensah compression sleeves. He asked if I had just gone for a run and I said yes. I learned about how he had trained for his first 10k and was interested in running his first marathon. I suggested that he check out the Colfax Marathon as the course takes you through Mile High Stadium twice and let him know to take that first step moving forward. 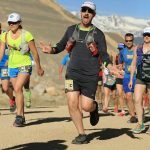 It would have been nice to get in 50k (31 miles), I was happy to enjoy the Colorado terrain, 5 hours on my feet, and meet a group of great runners. This is such a welcoming community that I always feel more encouraged by others that want to push their line of possibility.